What was the best piece of article writing advice you’ve ever received? First, we collected loads of encouraging, motivating, and enlightening responses. 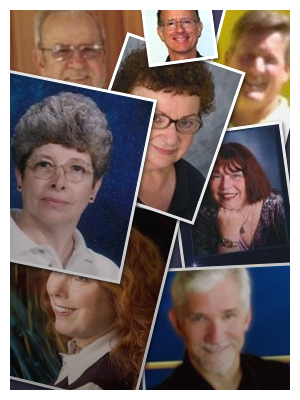 Then, we selected the top ten that are paramount to your success as an Expert Author. 1. You Have to Start Somewhere! Want to contribute your own article writing advice? Click here to add your insights to the best article writing advice forum! * This post was updated on November 18, 2013 at 8:55 a.m. CST. To make your writing easy always: think, think, think first. Delay the actual writing until after you have “slept on” it overnight. Result: you can write with excitement that is obvious and interesting to your readers! Thank you for a timely pick-me-up. Thanks for sharing this information, I can especially relate to tip #9. I have had several wonderful pieces of writing advice – I once told my publisher, Sarah Ban Breathnach, that I would never be the writer she is. She told me I wasn’t supposed to be; I was supposed to be the writer that I am. Then there’s Stephen King’s advice that he wrote about and that’s to write with a specific person in mind. I followed all of their writing advice and it worked! A great blessing. So many of these comments embody the ones I tell my students. As a teacher I can’t help or advise if there’s nothing on paper! Ezine authors felt obliged to make their thoughts known. Thanks. For a new author like us on Real Estate. This kind of input is extremely good when we start writing articles. Obviously high class writers who are very successful in their fields. I think we all can learn some article marketing tips from these 10 tips, and all of these expert authors. Nicely described. Thanks a lot for all these worthy tips. One must implement on his/her writing accordingly. Your writing must have an obvious purpose of direct interest to your reader. Writing is easy only when you think before writing. (1) Think (2) Write (3) Polish. Good writing is all about: getting to, influencing, persuading, amusing, interesting motivating, moving, getting a reaction from the reader. Yes! the article does inspire and encourages to pen. I like the article writing tips that you have suggested. I like the point that you have shared of keeping the content short. A short and unique content with a good title obviously attracts the attention of your visitors. This is infact the most important point I suppose. Apart from this, I think all other points are equally important. Thanks for the share!! Thank you for your tips. I have yet to write my first article! I have been putting it off; just procrastinating time and again. Your tip #1 : “I have to START somewhere!” OKAY, I will but what do I write about? Tip #4 : “Offer solutions”. Now THAT will help me to get started. Thanks! It inspired me a lot to write. A praiseworthy collection of tips and thoughts that will entice me to write more effective articles in the future. Obviously the best writing comes from the heart and with an undying zest for writing. Thank you very much indeed for your useful tips about article writing. As you write, imagine you are in a conversation with just one of your readers. Try to “hear,” in your mind, the verbal response and questions about what you said. Now, answer those questions with clear, short words. Another reader may ask a different question. Respond to that question with a simple fact filled reply. Try to spread the light of understanding in as helpful a way as you can. As an old man I am excited to write some articles and trying to collect perfect advice and hopefully this important tips will help me. It inspired me so much to write. I thank you for these tips. Very good information. One thing I’d like to add is to include lists with bullet points where possible. It makes the article user friendly and helps people to hone in on the information they are looking for. I like the first tip-just write.I am not a natural writer, but if I “just right”, I find the creative juices start to run eventually! Offering solutions is one of my best article writing strategy that having working for me for 4+ years as an article writer. Try to visualize this: When writing, see yourself sitting alongside of your reader. Position yourself as your reader’s “assistant buyer” – you are there to help make a decision that helps your reader solve a problem. Help your reader see the benefits clearly. Be on “his side” as you help him make his own decision to do what is best for him. Don’t sell, instead – offer to help him decide. Just followed the instructions from expert writers here and finished the 1300 words article in exact 48 minutes. Some very good advice here. Well done. Great Share! I usually follow Google Alerts and various others online community to know the latest buzz and getting the idea to write new articles.